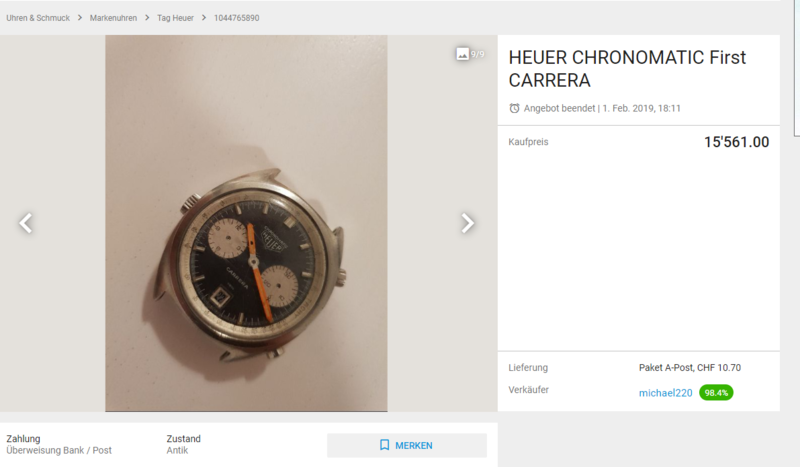 Someone just bought quite the project, for 15,561 Swiss Francs. 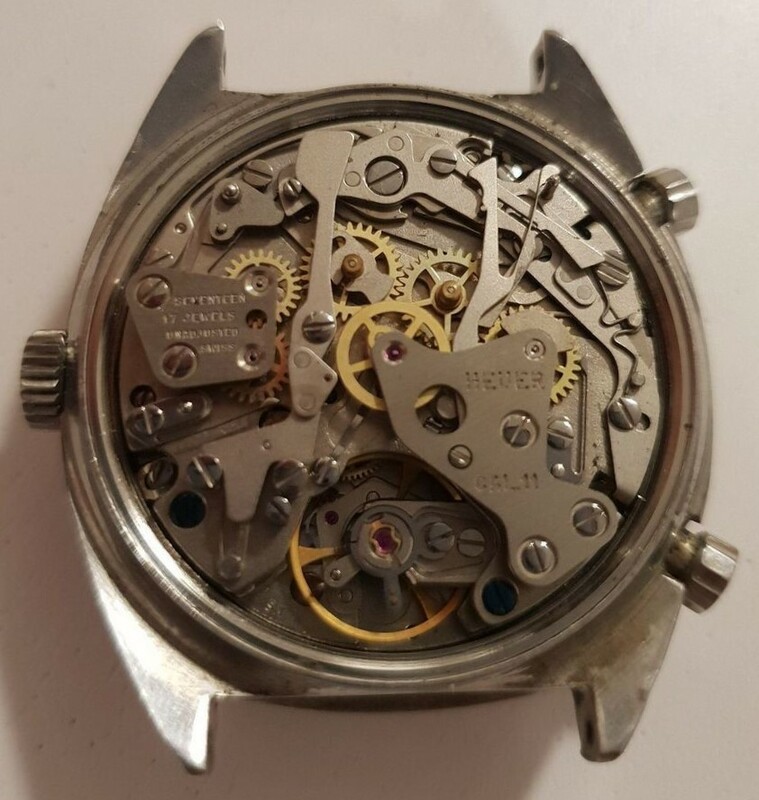 It's a Chronomatic Carrera, Ref 1153 N, except the main time of day hands have been replaced; the chronograph needles are missing; and the movement is no longer in the early Cal 11 specs. 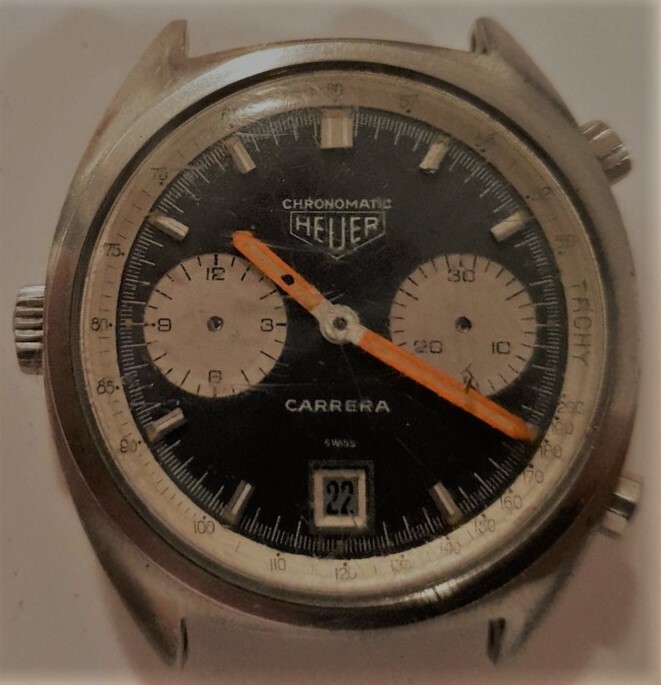 An interesting question -- what would such a Chronomatic Carrera be worth, if all original and unmolested? What would you say this one that just sold is worth?